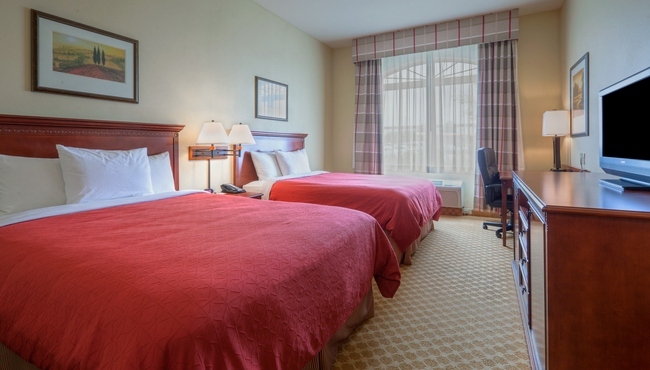 Whether you’re in the area to meet with business clients or to take a break from the interstate, the Country Inn & Suites, Emporia, VA offers hotel rooms that are designed to help you relax and feel at home. 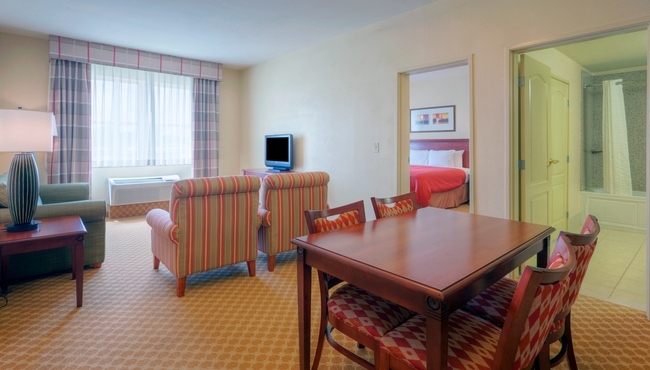 In each of our 75 hotel rooms and suites, you can enjoy amenities like an LCD TV and free Wi-Fi. Heat up a snack in the microwave and grab a drink from the refrigerator while you watch your favorite cable shows. In the morning, you can brew a cup of coffee with the in-room coffeemaker before heading to our free, hot breakfast. Bringing the family dog along? Our hotel is proud to offer pet-friendly rooms. Pull off I-95 and unwind in a Standard Room, which features all standard amenities and your choice of a king bed or two queen beds. Watch your favorite TV show as you relax in a Studio Suite, which is outfitted with all standard amenities plus a sleeper sofa and a seating area. Need extra space for the family? Stay in a One-bedroom Suite to enjoy a private bedroom and a separate living room. 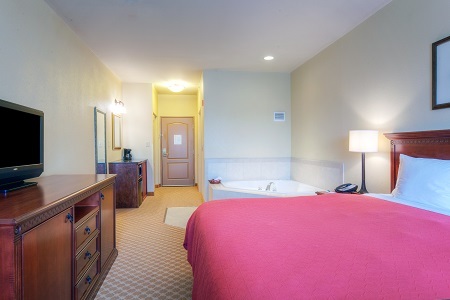 For a special getaway, book a Whirlpool Suite and relax in the whirlpool tub before drifting off to sleep in the king bed. If you’re in Emporia for a long business trip, reserve an Extended Stay Suite, which is equipped with a separate living room, dining area and additional TV. These suites also come with a kitchenette, perfect for prepping meals after work.